We see cases of Parkinson’s disease at our Rome Georgia Assisted Living Community. Many people, especially those who are acquainted with elder care in Rome GA Assisted Living, are well acquainted with the warning signs of major medical episodes like heart attack and stroke. It’s far easier to overlook odd symptoms such as an inability to smell bananas, dill pickles, or licorice. That can be one sign of Parkinson’s disease, another medical condition that impacts 1%–2% of seniors aged 60 years and older. Parkinson’s doesn’t get the publicity of other senior maladies like Alzheimer’s and cardiac conditions. Part of that is because it doesn’t significantly impact lifespan. That said, it can have a big impact on daily life, making activities like walking and coordination difficult. While the disease is largely associated with muscle tremors, it can also impact muscle rigidity, leading to trouble swallowing, slurred speech, mobility, and facial expressions that don’t match the Parkinson’s patient’s moods. 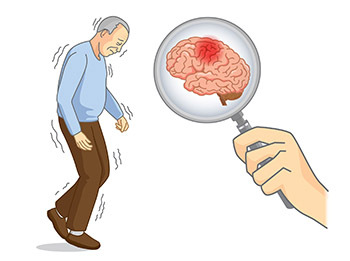 Other signs include amnesia and memory problems and sleep disorders, which can sometimes make it easy to mistake Parkinson’s for dementia. Those symptoms are because Parkinson’s originates in the brain, due to a degeneration of the cells that produce dopamine. That can also lead to anxiety, depression, and apathy, which can be worsened by the frustration of dealing with mobility and communication challenges. The good news is that Parkinson’s patients can lead full lives even if the onset is early. Advanced stages of Parkinson’s require assisted living, but the same can be said of advanced aging. If you were already considering a senior care home for yourself or a loved one, discuss what amenities are offered that align with Parkinson’s management. For example, regular healthy meals prepared for residents, like those offered at Regency Retirement Rome, cannot only address mobility problems that might make cooking complicated. Also, meal service can ensure the resident gets enough vitamins and fiber to counterbalance Parkinson’s symptoms. Assisted living facilities are also equipped with fall bars, handicapped accessible restrooms, elevators and other design features that can help seniors with limited mobility safely navigate their homes and community. That can make a significant impact on the senior’s mental health, reducing a sense of isolation and helping to maintain routines and social connections. Parkinson’s can also be managed with medication. Levodopa is one of the most common, although it may not be appropriate for all cases or stages of Parkinson’s and the side effects may not appeal or work for all patients, especially those with liver conditions. Many of the drugs used to treat Parkinson’s work by replicating dopamine, or by addressing the compromised neurotransmitters. With proper treatment and support such as that provided at assisted living centers, Parkinson’s doesn’t have to stop your plans for retirement in their tracks. Instead, you can keep doing the things you love and despite the symptoms and challenges, remain as healthy as possible for a long time.